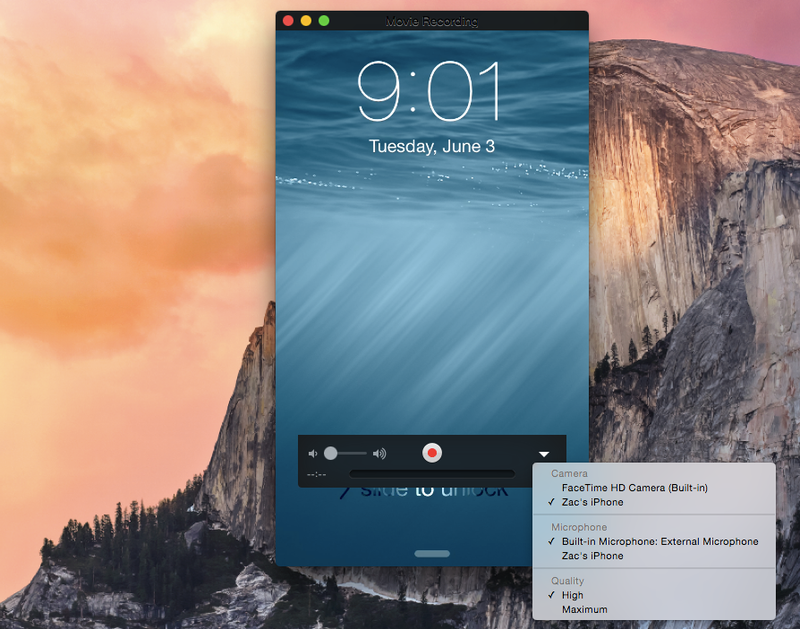 When plugging an iPad or iPhone running iOS 8 into a Mac running OS X Yosemite via USB, the iOS device now shows up as a standard camera input. 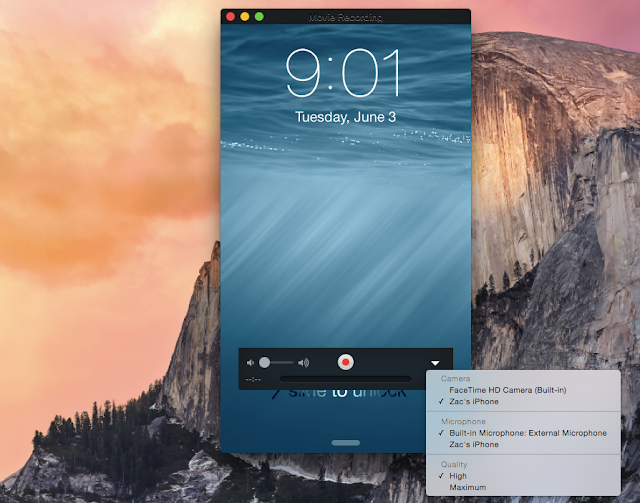 This means any video app can be used to record the screen of the iOS device without the need for additional hardware. This is very useful. I have always AirPlayed to my Mac before, but this makes it possible to use an iPhone or iPad as a normal camera input and record it directly in for example Final Cut Pro X or iMovie. Brilliant.